Did you know that the brown marmorated stink bug (the one we all hate) wasn't always crawling around the North American continent?? In fact, this species of insect was only very recently discovered in the United States! Where do these insects come from? Why are they here? Keep reading to find out all about the origins of this mysterious little bug! Where Did The Stink Bug Come From? 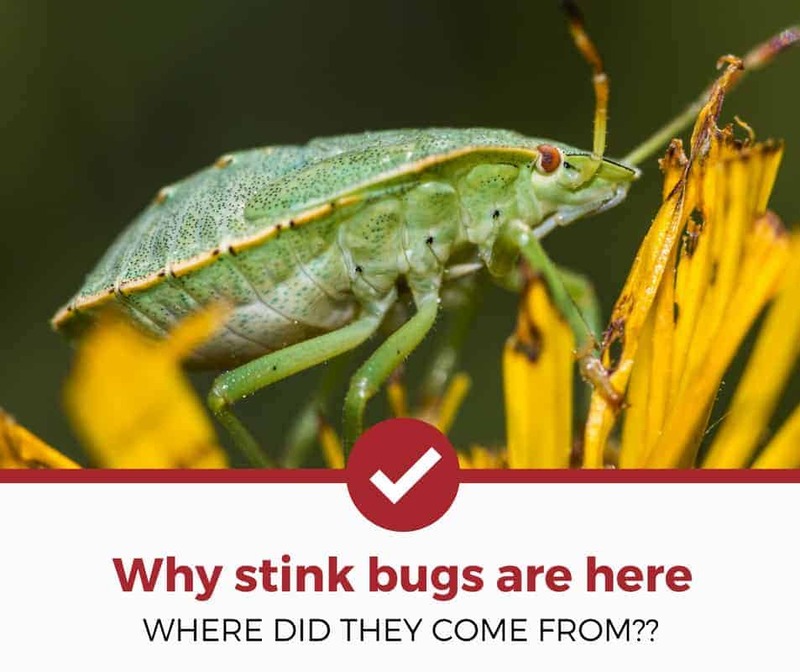 Where Was The First Stink Bug Detected? What About Other Stink Bugs? The brown marmorated stink bug is actually native to the Asian continent! So, how'd it get to the mainland United States?! It is widely speculated that cargo ships from Asia led a small population of these insects across the Pacific Ocean, and then onto American soil, where they began to reproduce rapidly. ​Read Also: How to get rid of stink bugs in your home? The brown marmorated stink bug can be found in its natural habitat in several Asian countries, as listed below. In 1998, the first sighting of what we know today as the brown marmorated stink bug occurred in Allentown, Pennsylvania. These suspected insects were for collected for testing and confirmation of their species. In 2001, the insects were confirmed to be the brown marmorated stink bug, and the sighting three years prior proved to be a landmark one. This marked the first time anyone had ever confirmed one of these insects on the North American continent! After this groundbreaking confirmation, entomologists across the country welcomed reports of brown marmorated stink bug sightings from Americans. Read Also: What are the best stink bug repellents? For a little more insight on identifying brown marmorated stink bugs in North America, listen to what Tracy Leskey, a research entomologist with the USDA, has to say about their spread throughout the continent. Here's where the language gets tricky: there are other stink bugs which are native to the United States. They're not brown marmorated stink bugs. The brown marmorated stink bug is the insect native to Asia, and a few others have been here all along. These little guys are shield-shaped (just like their brown marmorated cousins), but have a smooth, lime green body. There is a bright orange band surrounding their green shield backs, and they normally blend in seamlessly with the leaves on trees. Green stink bugs can usually be found in all areas of the mainland United States, and even as far north as Quebec. However, these insects are most commonly prevalent in the Gulf Coast region and southeastern states. Read Also: Why do stink bugs stink? Not to be confused with their Asian cousins, brown stink bugs are actually native to the United States. These insect do look similar to the brown marmorated stink bug (the non-native, Asian invasive species), but with a few notable exceptions. The brown stink bugs tend to be totally brown or tan, whereas the brown marmorated stink bugs feature white stripes along their banded areas and antennae. Brown stink bugs are distributed evenly through the United States and Southern Canada. Though it may seem like the pesky stink bug is a regular ol' part of life, things weren't always this way! Now that we've uncovered the mystery of where these smelly bugs come from, now you'll be able recognize whether you've got one of these new species crawling in your home!